Cake Toppers – the finishing touch! 18/4/19 – 26/4/19. Stay safe and enjoy the Easter break! Sign up to receive exclusive sales, tutorials and more! 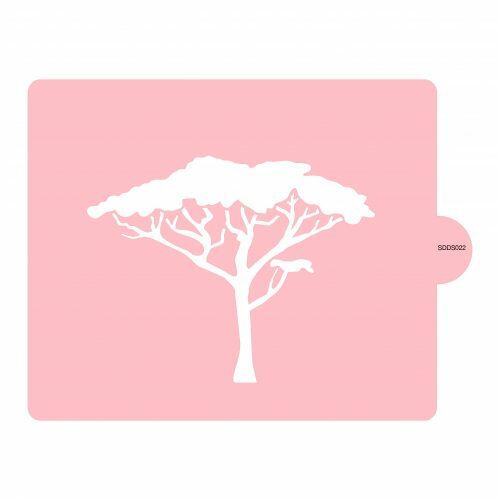 Our African Tree Stencil is perfect for cakes and cookies. Use it with Royal icing and lustre dusts or try air brushing. Use our stencils over and over. Gently wash in warm soapy water and dry before use. Food contact approved material. Sandra Dillon Design is an Australian based design studio focussed on products that celebrate life's special moments.